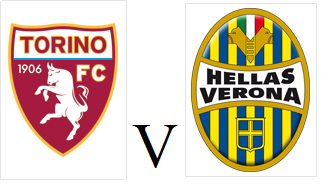 Torino will look to put last week's disappointing performance at Fiorentina behind them when they host Hellas Verona this afternoon. Toro will be without the suspended Kamil Glik and Giuseppe Vives so Pontus Jansson and Alessandro Gazzi should deputise. Maxi Lopez has once again been omitted from the squad, whilst Fabio Quagliarella is still out of favour and heavily linked with a move to Sampdoria. This means that the promising partnership of Andrea Belotti and Ciro Immobile should continue up front. Hellas have not won a league match all season and are rooted to the bottom of the Serie A table. However, they held Toro to a 2-2 draw earlier this season, and have drawn their last two matches.